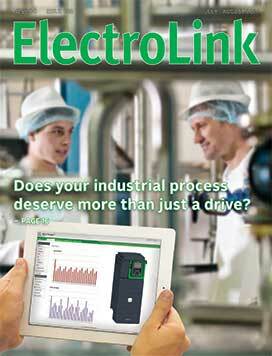 Does your industrial process deserve more than just a drive? How would you like to have an engineer watching over all the motors in your plant every minute they are operating, making sure all the driven machinery is running at peak performance? Wouldn’t you also like to detect maintenance issues before they cause significant downtime? Soon, you will – with the new-generation Altivar Process range of variable speed drives, says John Macdonald, Schneider Electric’s drives and motion product manager. Eight years ago the Electrical Workers Registration Board (EWRB) was let off the hook and relieved of its obligation to ensure the competence of electrical workers. This extraordinary revocation of the board’s primary duty by parliament has left no organisation tasked with the challenging duty of ‘ensuring’ the competence of electrical workers, although the EWRB appears to have either missed the law change or chosen to ignore it, and continued with this role. The loss of an appeal against his dismissal by Top Energy Ltd has cost a line mechanic more than just his job. Ordered by the Employment Relations Authority to pay Top Energy $10,000 in costs, the worker has suffered minor burns from an electric shock, a six-metre fall from a power pole, loss of his job and now will be out of pocket by $50 a week for the next four years. However, it could have been worse if the Employment Relations Authority’s findings are to be believed. Its first finding was that the registered and licensed line mechanic had been electrocuted – despite his presence in court alerting the authority to the fact that he was far from dead. As businesses find themselves having to pay more for their power because of the low level of efficiency of the power usage on their sites, suppliers of power factor correction equipment are stepping up offering solutions to reduce punitive charges increasingly levied by lines companies. These charges are being triggered where power factor drops below 0.95 and are incentivising affected consumers to improve their power factor for their own benefit and the capacity of their local supply network. A year after the Department of Labour shut down a chemical recycling plant in Christchurch requiring significant safety improvements, another major incident has occurred resulting in eight fire engines attending what turned out to be a chemical fire in the middle of the night. A drum of recycling chemicals had overheated, producing thick pungent smoke seen coming from the roof of the Solvent Rescue building in Sydenham. Three workers were affected by the fumes and required hospital treatment. Auckland Transport is looking to replace 40,000 high pressure sodium (HPS) road lighting luminaires with energy efficient LED replacements in what would be New Zealand’s most ambitious LED replacement programme to date. If the programme gets the green light, it will likely be rolled out over four years and see over a third of the organisation’s 100,000 road lighting luminaires change from orange light to white light. The organisation estimates net savings in excess of $32m over the 20-year design-life of the LED luminaires. The New Zealand Transport Agency is taking the lead in promoting energy efficient white light solutions for road and public area lighting applications with the development of a road lighting specification that, in effect, mandates white light on its road lighting network. But the specification will potentially go further, encouraging all local and territorial authorities to evaluate energy-efficient LED as a condition of Transport Agency funding for future lighting infrastructure upgrades.